"The Long Way" is a song written and recorded by American country music singer Brett Eldredge for his self-titled third studio album (2017). Matt Rogers co-wrote the song, while Ross Copperman co-produced the song with Eldredge. The song was first released digitally on May 12, 2017 as a promotional single for the album. 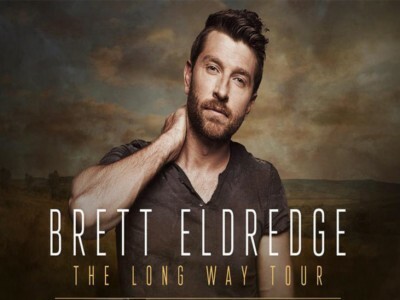 "The Long Way" was serviced to American country radio on August 21, 2017 through Atlantic Records and Warner Music Nashville as the second official single from Brett Eldredge.